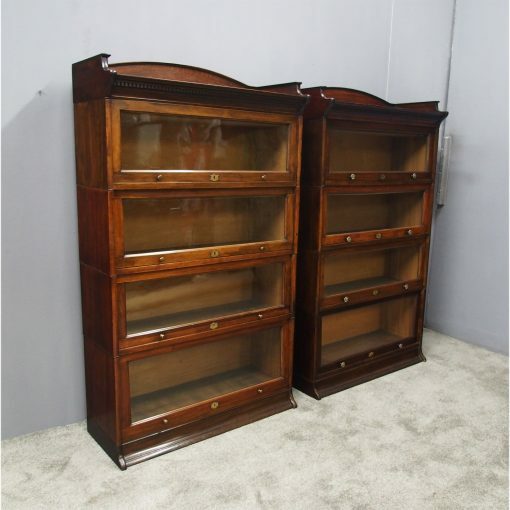 Circa 1910, pair of stained beech, 4 door sectional bookcases. With raised back and three quarter gallery with beading to the top, the frieze has a dentil detail. 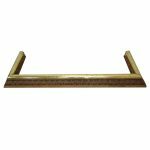 Beneath this are glazed doors with cast brass knob handles and finishing on an enclosed plinth.